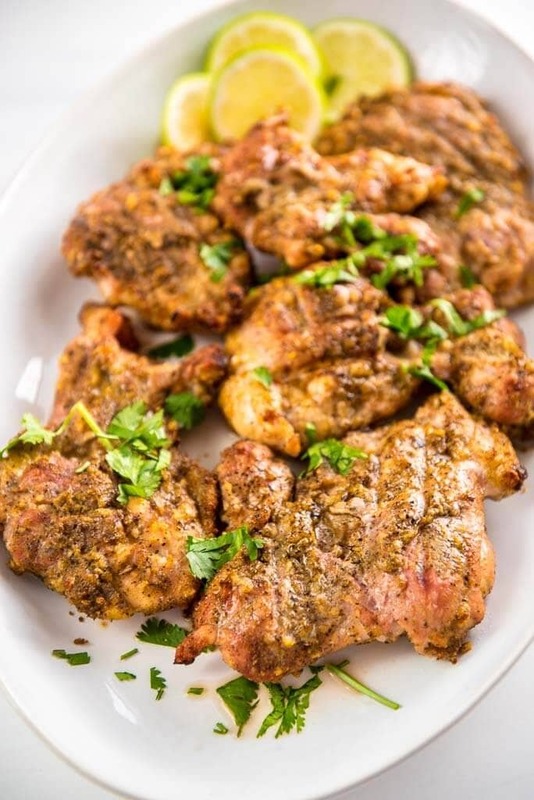 Want a meal that’s sure to please a crowd or your family? How about these super simple Grilled Chicken Street Tacos! 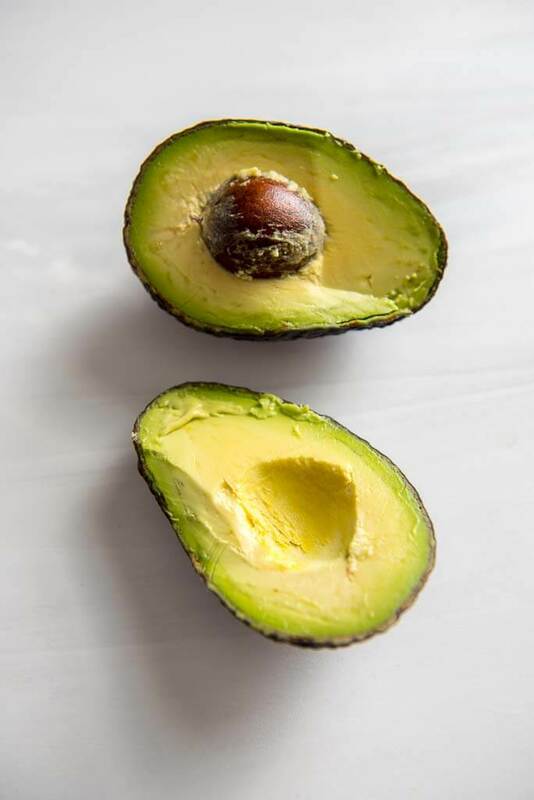 Garnish with Avocado Corn Salsa for a real treat! In this family we go nuts for tacos. And who wouldn’t? You can make just about any variety, they are simple and they are totally packed with flavor. 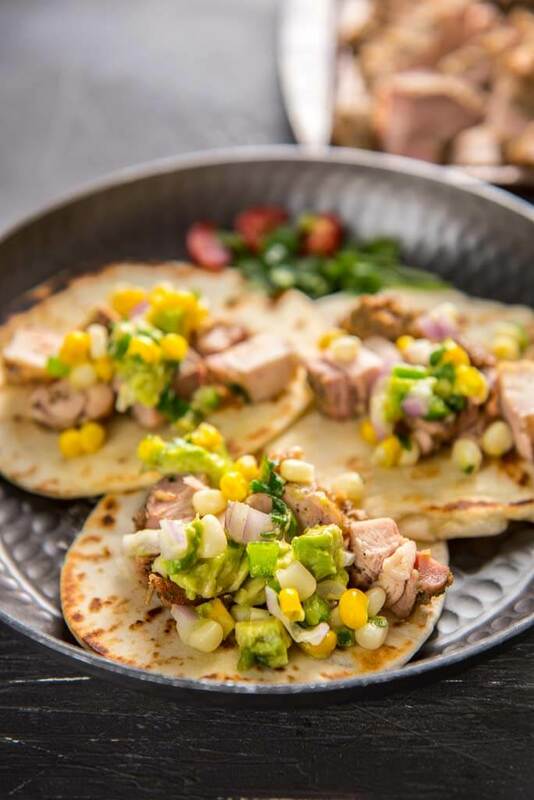 We have a few favorites around here, but it’s really hard to beat these Grilled Chicken Street Tacos. The other day I showed you how easy it is to grill chicken thighs and you can even make them up ahead of time. 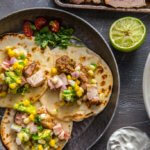 Then, just whip up my super easy Avocado Corn Salsa and serve on your favorite tacos shells for a tasty yet simple meal. 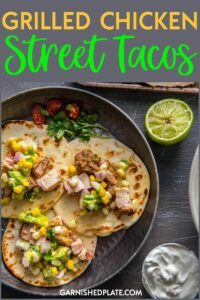 What is on a street taco? What is a good side for tacos? Serving these all up as a mix and match meal is such an easy and fun way to feed a crowd. 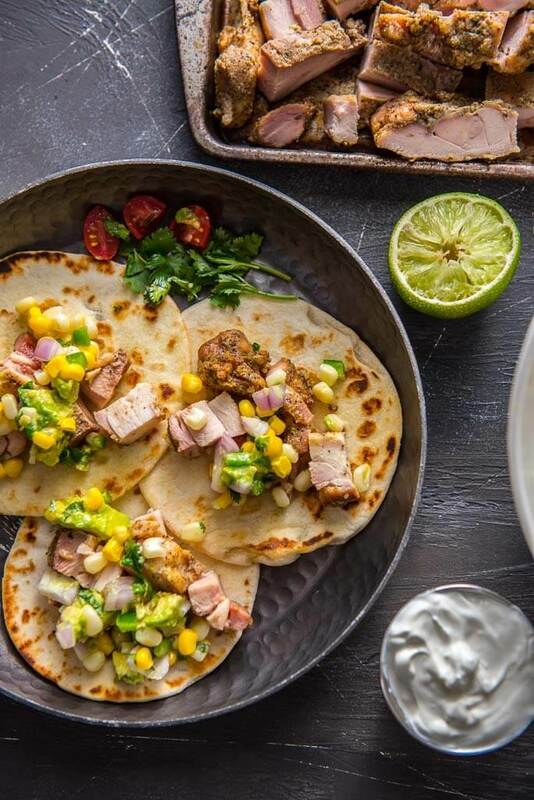 Nothing goes over better than tacos when we have get togethers and I feel the least stressed because most of the food can be made ahead of time. Serve along side some chips and salsa that you pick up from your favorite local restaurant and your are all set. If you ever want to get inspiration for making your own street tacos, just head off to your local food truck festival. So many food trucks serve street tacos and so many of them have such unique and creative options. I love to get a few different ones and split them with my family so that we can try them all and rank our favorites. Then I come home and get to cooking up some new ideas of my own. Want a meal that's sure to please a crowd or your family? How about these super simple Grilled Chicken Street Tacos! Garnish with Avocado Corn Salsa for a real treat! Yes, yes and yes! We love street tacos. And we love simple prep. I see a winner here! Will definitely be making these! I've never thought to have potatoes with tacos, but now I'm obsessing over that! Skillet potatoes are the best! These look amazing!!! I love how simple they are, but that the flavors are layered. This is making my mouth water! I love that this only takes 30 minutes too! These tacos look like they would be amazing. We have tacos at least once a week so I will definitely be giving these a try.